Society is providing a platform to train and disciple students for life and ministry. Fearless La is partnering with Southeastern University, creating a foundation for biblical understanding, and hands on training in the city of Los Angeles. At Fearless La, we believe in empowering individuals to reach their fullest potential through Christ, and Society is the best way to do that. Hands on ministry experience with Fearless BND, Fearless Creative, Fearless Apparel and many others enhance your development as a leader. 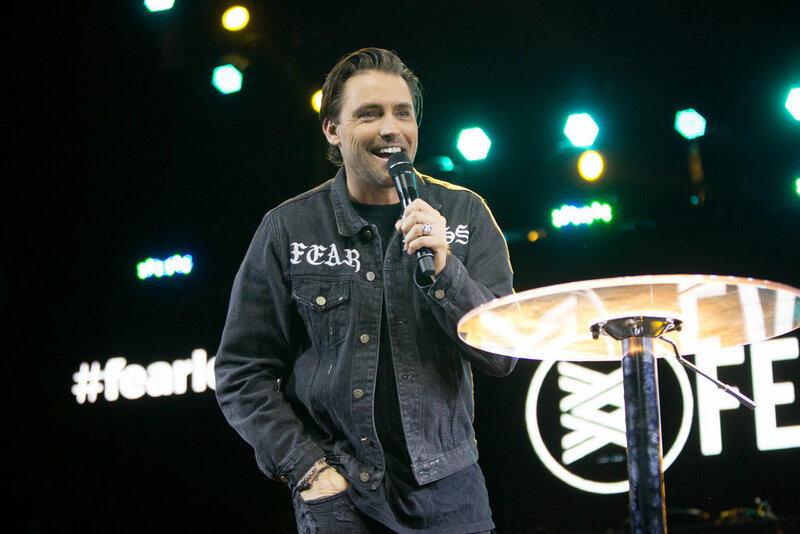 "There is no fear in love; But perfect love casts out fear..."
Jeremy Johnson is the Lead Pastor of Fearless LA, along with his wife Christy and children, Lyric and Brave. Located in the heart of Downtown Los Angeles, together and alongside their team, they have a call to serve their city and make an impact worldwide through the life-transforming message of Jesus' power and love. The Church Leadership program is designed for you if you have a pastoral call on their life. Whether the call is for youth ministry, college, or lead pastors, this track is designed to help mold you into the person that God is calling you to be to serve Him in this capacity. Every semester you will have the choice between three practicums, Pastoral, Worship or Creative. These practicums would be working directly with our ministries at Fearless La. This program is designed to be one full academic year. Upon invitation, a second year is available, at a staff level position. New class enrollment opens at the beginning of each semester. For tuition information, please schedule an appointment with one of our team members. 212 is the boiling point of water. At its highest point of pressure, it changes to a new substance, completely changing from old to new. The 212 Internship program is designed to do the same thing to your life. In a three month time period, completely changing a person inside out. Learning about biblical foundational principals, focussing on the internal growth of person, paired with hands on ministry experience at Fearless La.